The curriculum includes a substantial practical component, culminating in an industry internship that forms part of the final year curriculum. Also included in the curriculum are relevant, more generalized modules. Such modules include an Introduction to Financial Accounting and Business English. Coupled with the curriculum model as described, students also undertake field trips that are based on research projects, practical assignments, and case studies. Students gain the necessary skills in airfares and ticketing as a prerequisite for Galileo and are thus provided with the practical experience and theoretical knowledge to become entrepreneurs or managers of any sector in this field. Students develop an intermediate level of knowledge in Travel and Tourism Management. Students who fulfil all the requirements for Levels 1, 2, and 3 are awarded the MGI Bachelor of Commerce in Tourism Management degree. 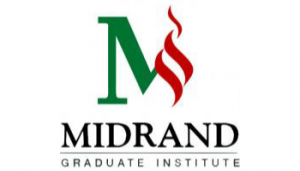 The MGI Bachelor of Commerce in Tourism Management degree is endorsed by the Midrand Tourism Association.